Summer break is filled with exciting activities. Keep your child safe and healthy so she can enjoy all the season has to offer. Kids can't wait for summer. However, along with school vacation, warm weather and outdoor sports comes an extra dose of responsibility for parents. As the temperature rises, so does the risk of illnesses and injuries from swimming and other outdoor play. Unintentional injuries are the leading cause of death for children ages 1 to 14 in the U.S, but summer shouldn’t be a scary time, or a time spent in the hospital. By taking a few extra measures, parents can make sure that more time is spent poolside than bedside this summer. Most recently, the CDC has reported that there were over 1000 drowning-related deaths among children under 19 years old in the Unites States in 2010. According to the Department of Public Health, in 2013, the most recent publicly available data, there were 30 drowning-related deaths in Georgia for children 19 years of age and younger. Many drowning incidents occur in swimming pools, but lakes, rivers and oceans can also be dangerous. Children playing in smaller bodies of water, such as wading pools, bathtubs, buckets, toilets, spas and hot tubs should also be supervised. Be prepared by familiarizing yourself with the Children’s Urgent Care Centers and Children’s Emergency Departments, in case your child needs urgent care. Practice “Touch Supervision”: Children should be kept within reasonable reach at all times. It is vital to keep children in baby bath seats and rings within arm's reach. Don't Be Overconfident: Don’t overestimate your child’s swimming abilities, even if they have completed swimming courses. Be Aware of Neighbor's Pools: Know which of your child's friends and neighbors have pools. Make sure your child will be constantly supervised by an adult while visiting. Eliminate Drowning Hazards: Remove items that may cause drowning, such as empty buckets, large containers and wading pools. Keep toilet lids shut with toilet locks. Do not leave toys in or near the pool, where they could attract unsupervised children. Install Safety Devices Around Pools: Install four-sided fencing at least five feet high that completely surround all pools or water areas, and make sure the fence has self-closing and self-latching gates. A single drain should be equipped with an anti-entrapment drain cover and a safety vacuum release system. For extra protection, consider a pool alarm and alarms on the doors, windows and gates leading to the pool. Be Prepared: Keep rescue equipment, a telephone and emergency numbers by the pool. Play Safe: Tell children never to run, push or jump on others around water. Actively Supervise: Practice constant supervision of children in and around open bodies of water, giving them your undivided attention. Appoint a designated “water watcher,” taking turns with other adults. Wear Life Jackets on Open Water: All children under 13 years old are required by Georgia law to wear a flotation device on a watercraft. Outfit children in a U.S. Coast Guard-approved life jacket around oceans, rivers, lakes or when participating in water sports. “Water wings” or inflatable tubes do not replace life jackets. Safe Diving: Teach children not to dive into oceans, lakes or rivers because you never know how deep the water is or what might be hidden under the surface of the water. No one should dive in water less than nine feet deep. Swim in Safe Areas: Make sure children swim only in designated safe areas of rivers, lakes and oceans. Teach children that swimming in open water is not the same as swimming in a pool: they need to be aware of uneven surfaces, river currents, ocean undertow and changing weather. No Underage Driving: Never allow children age 14 and under to operate a personal watercraft. Enroll Your Child in Swimming Lessons: It is an important skill for both children and adults to know. Be Prepared: Learn infant and child CPR and keep a phone nearby in case of an emergency. Take a boating education course that will teach safe boating practices. Do Not Drink and Drive: Never drink alcoholic beverages while boating. Summertime means families are hitting the road and children are heading outdoors to play. It is not a coincidence that the season for extended daylight and outdoor activity is also the season for broken bones and accidental injuries. Whether on the road or in your backyard, it is the parent's job to ensure their child's safety during travel and play. Know the Danger - Between 1982 and 2011, 11,688 ATV-related fatalities were reported. Of those, 2,865 fatalities were children younger than 16 years of age. This represents 25 percent of the total number of reported ATV-related fatalities during that time frame. Of the 2,865 ATV-related fatalities of children younger than 16 years of age, 1,226 (43 percent) were younger than 12 years of age. No Ride-a-Longs - ATVs should be used by only one person at a time, no riders. Do not hold young children in your lap. Always Wear Protective Gear - Helmets are especially important in reducing the risk of head injury. Protective gloves and heavy boots can also help reduce injuries. Slow Down - With their large, soft tires and high center of gravity, ATVs can reach speeds of up to 50 mph or more. Almost 60 percent of accidents involving ATVs result from tipping and overturning. Keep Kids Away - Children under 12 years of age should not operate any ATV. Younger children do not have adequate physical size and strength to control these vehicles. Nor do they have the thinking, motor, and perceptive skills to operate a vehicle safely. The minimum age for operating an ATV on or off the road should be at least 16 years old. Be Licensed and Trained - All ATV operators should be licensed and undergo a hands-on training course. Inexperienced drivers in their first month of using an ATV have 13 times the average risk of injury. Daytime Riding - ATVs should be used during daylight hours only. ATVs are difficult to control and collisions with other vehicles can result in severe injuries or death. Read the Manuals - Read all instruction manuals and follow the manufacturers' recommendations for use, maintenance, and pre-use checks. Stay Off The Road - Never operate an ATV on pavement or on a public road. Almost 10 percent of injuries and over 25 percent of deaths occurred while the ATV was on a paved road. Do Not Drive Under Any Influence - Do not operate an ATV if you have taken drugs or alcohol. According to the CPSC, 30 percent of all fatal ATV accidents involved alcohol use. Correctly Sized Helmets - The helmet should fit snug, not moving on the head. The front edge of the helmet should be two finger widths above the eyebrows. The chin strap should be snug when you open your mouth. One finger should fit between the chin and chin strap when the mouth is closed. Approved Helmets - The helmet should be approved by the American National Standards Institute (ANSI), the American Society for Testing and Materials (ASTM), the US Consumer Product Safety Commission (CPSC). Approved helmets meet stringent safety standards. Correctly Sized Bikes - You should be able to place the balls of your feet on the ground when sitting on the seat. The bicycle should have a bell or horn. Road Rules - Stop before riding into traffic from a driveway, sidewalk, parking lot, or other street. Look left, right, and left again to check for cars. Ride on the far right of the road, with traffic. Ride so cars can see you, wearing brightly colored clothes, especially at night. Obey all traffic signals and stop signs. Ride bicycles in single file. Daytime and Good Weather Riding - Avoid riding your bicycle, in-line skates, or skateboard during non-daylight hours or during bad weather. If you ride at night, make sure your bicycle has a headlight, flashing taillight, and reflectors. Know the signs and symptoms of a concussion, and consult your child's physician immediately if you suspect that your child may have this injury. More kids are killed in automobile crashes than any other type of unintentional injury. By following simple safety measures and teaching a few rules, you can help protect your child. Choose the Best Car Seat - The best car seat is not always the most expensive. It is the one that best fits the child by both weight and height, fits and installs well in your vehicle and the manufacturer's instructions are followed so that it is used correctly every time you transport your child. Choose a seat that meets or exceeds Federal Motor Vehicle Safety Standards 213. Accept Used Car Seats with Caution - If using a used car seat, call the manufacturer to find out the recommended length of use and if there has ever been a product recall for the seat. Contact information is on one of the car seat labels. If labels are missing, do not use the seat. Airbags and Kids - Airbags are designed with adults in mind and can be dangerous for younger, lighter-weight passengers. To protect your child from airbag related injuries, always transport children in an appropriate car seat or booster seat in the back seat. If you have no choice and must place a child in the front seat because all other back seat positions are already being used by other children, push the front passenger seat as far back away from the dash airbag compartment as possible. A safe rule of thumb is to always transport children 12 and under in the back seat. Visit Safe Kids Georgia to learn more about car seat safety. Play it Cool - Remind your kids before every road trip, and even just a quick trip down the road, the importance of staying calm and low-key in the back seat. Distracted driving puts all passengers at risk. Keep Kids Occupied - Before long road trips, plan activities that will keep kids occupied in the car without distracting the driver. It's the Law - Remember, it is illegal in the state of Georgia and many others to text while driving. All drivers under the age of 18 are banned from any cell phone use while behind the wheel. Stick with Shock Absorbing Surfaces - Ensure there is safe surfacing beneath and surrounding all playground equipment. Recommended surface materials include sand, pea gravel, wood chips, mulch and shredded rubber. Rubber mats, synthetic turf and other artificial materials are also safe surfaces and require less maintenance. Avoid Hard Surfaces - Avoid playgrounds with asphalt, concrete, grass, dirt and soil surfaces under the equipment. A fall onto a shock absorbing surface is less likely to cause a serious injury than a fall onto a hard surface. Swing Safe - For swings, make sure that the surfacing extends, in the back and front, twice the height of the suspending bar, so if the top of the swing set is 10 feet high, the surfacing should extend 20 feet. Use a Professional - Make sure that all playgrounds are inspected and maintained by qualified personnel. Daily, monthly and annual maintenance schedules should be followed. Age-Appropriate - Maintain separate play areas for children under age 5. Ensure that children use age-appropriate playground equipment. School Safety - Ensure that schools and childcare centers have age-appropriate, well-maintained playground equipment and that trained supervisors are present at all times when children are on the playground. Report any playground safety hazards to the organization responsible for the site (e.g., school, park authority, city council). Constant Supervision - Always supervise children using playground equipment. Stay where you can see and hear them. No Horseplay - Prevent unsafe behaviors like pushing, shoving, crowding and inappropriate use of equipment. Clothing Hazards - Remove hood and neck drawstrings from all children’s outerwear. Never allow children to wear helmets, necklaces, purses, scarves or clothing with drawstrings while on playgrounds. Know the Signs of Fracture - The symptoms of a fracture include swelling, redness, pain, deformity and joint stiffness. 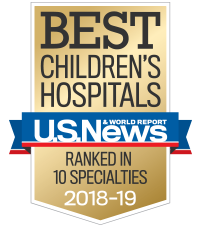 Seek Specialists for Injuries - Pediatric orthopedists and radiologists are specially trained to correctly diagnose and treat injuries in children. If a child has been injured, observe her carefully and use good judgment. Always consult a pediatrician or other healthcare provider if you have questions or concerns regarding her injury; if the injury appears serious or life-threatening, call 911 and seek emergency medical assistance right away. Source: Children's Healthcare of Atlanta and Safe Kids Georgia. Review the Policies: Learn the camp’s screening policies, including background checks, for counselors and volunteers. Ask Questions: Ask camp administrators about counselor and volunteer training requirements. Follow the rule of three: Make sure your child knows that he or she should not go anywhere alone with a camp counselor. Your child should ask for another adult or camp counselor to accompany them. Provide History: Be sure you child’s medical information is updated, and share all medical conditions and allergies with the camp administration. Talk to your kids: Teach your child about body safety and establishing safe boundaries. Have Backup: Have your child identify safe adults he or she would feel comfortable talking to if you cannot be reached. Practice "The Shadow Rule" - When you are outside, if your shadow is shorter than you are, it means UV rays are intense and you need to be extra careful. Lather Up - Apply sunscreen and lip balm specifically made for children with an SPF of at least 30. The label should say "broad spectrum coverage," which gives protection from both UVA and UVB rays. While swimming, children should wear water resistant sunscreen. Lather Generously - Apply 1 ounce (2 tablespoons) of sunscreen to the entire body, 30 minutes prior to going outdoors; reapply every 2 hours or after excessive sweating or swimming Sunscreen should be re-applied every 90 minutes or according to directions. Clothe Up - Outfit children with a wide-brimmed hat, long sleeves and sunglasses with 100 percent UV protection. Sun protective clothing with a UPF rating of 50 or higher provides protection, as well. Minimize Sun Exposure - Even when precautions are followed, it is best to minimize the amount of sun exposure during the peak hours of 10 a.m. – 4 p.m.
Seek Shade - Look for areas to stay in the shade. Avoid direct exposure between 10am and 4pm. Protect Newborns - Keep newborns out of the sun. From 0 to 6 months, sunscreen is not recommended because a baby’s skin is too sensitive. Instead, keep your baby out of direct sunlight as much as possible by using proper clothing, umbrellas, canopies, and trees to provide shade for your little one. A child older than six months should wear sunscreen every day, even if it’s overcast. It's Not Just For Sunny Days - Remember that water, sand, and snow reflect the sun. Even on overcast day, clouds allow 70-80% UV penetration. Know The Warnings - Parents should learn the warning signs of melanoma, which include: asymmetrical moles; irregular edges around a mole; moles that are generally black or brown in color; moles with diameters bigger than a pencil eraser. Look for the “ugly duckling” sign- one mole that looks different from all the other moles on the body. Know Your Child's Skin - About half of all children with melanoma do not follow the pattern above, so it is important to identify any suspicious growths on your child's body and alert a pediatrician. A significant number of pediatric melanomas have well-defined edges and are light in color. This discrepancy can contribute to a delay in a child being diagnosed. Preventable - When identified early, melanoma is 100 percent curable. Left untreated, this type of cancer can spread to other parts of the body. Playing outdoors in hot weather can be enjoyable, but sometimes dangerous. Each year, young athletes and children die from heat-related illness. All athletes, coaches and parents need to take precautions during hot weather to ensure that their children are playing safely. The severity of heat injury ranges from mild heat cramps to heat stroke and even death. But there is one important fact to remember — heat-related illness is preventable. Know Signs of Heat-Related Illness - Symptoms of heat illness include: Cramps; very high body temperature; red, hot, dry skin (athlete is not sweating) or heavy sweating; rapid pulse; throbbing headache; dizziness; nausea/vomiting; confusion; loss of consciousness; paleness. Stay hydrated!Stay Hydrated - Drink plenty of fluids during vigorous or outdoor activities (including sunbathing), especially on hot days. Drinks of choice include water and sports drinks; avoid alcohol and fluids with caffeine such as tea, coffee and cola, as these can lead to dehydration. Dress to Protect - Dress your child in light-colored, lightweight, tightly-woven, loose-fitting clothing on hot days. Protect children from the sun by having them wear a hat and sunglasses and by using an umbrella. Use a sunscreen that is at least SPF (sun protection factor) 15. Schedule Around the Heat - Plan vigorous activity and sports for cooler times of the day. Take rest periods in shady or cool areas. Increase time spent outdoors gradually to get your child's body used to the heat. Try to spend as much time indoors as possible on very hot and humid days. The Importance of Cooling Off - Teach children to take frequent drink breaks and "wet down" or mist themselves with a spray bottle to avoid becoming overheated. Car Safety - Do not leave children unattended in a hot automobile for any amount of time, even with the windows rolled down. Car temperatures inside can rise to dangerous, life-threatening levels within minutes. Just as you would never leave a small child alone in a bathtub, never leave a child alone in a car. Exercise Safety - Teach children to warm-up and cool-down before and after exercising. Be Prepared - If your child has a medical condition or is taking medication, consult your child's physician for further advice for preventing heat-related illnesses. At Risk - Those at risk for heat-related illness are children and adolescents who are out-of-shape or children who may need time to get acclimated to the heat. Smart Scheduling - Schedule workouts for the cooler times of the day. Plan for timed water and rest breaks every 30 minutes during activities. During these breaks, require kids to drink fluids. This also gives the coach or trainer a chance to monitor the athletes. Allow Time for Warm Up - Give overweight or out-of-shape kids proper time to adjust to the heat. Allow Time to Cool Off - Have shade, ice and a kiddie pool available for emergency treatment and rapid cooling. Proper Clothing - Athletes should wear hats with brims and light-colored, breathable clothing, if possible. Asthma is Dangerous in Heat - Parents of children with asthma should closely monitor their children. Exercise is often a trigger for attacks, and outdoor air quality can also be a factor. Keep an Eye on Those At Risk - Children who have suffered from a heat-related illness in the past, or are currently taking cold or allergy medications or certain treatments for Attention Deficit Disorder (ADD), should be carefully monitored. Know Signs of Heat-Related Illness - Cramps; very high body temperature; red, hot, dry skin (athlete is not sweating) or heavy sweating; rapid pulse; throbbing headache; dizziness; nausea/vomiting; confusion; loss of consciousness; paleness. Never Rely on Thirst - Thirst is a poor indicator of how hydrated the body is. When a young athlete begins to feel thirsty, he or she may already be dehydrated. Prehydrate - Thirty minutes before activity, have your child drink until he or she is no longer thirsty — plus another eight ounces. Kids weighing less than 90 pounds should drink five ounces for every 20 minutes of activity. Kids weighing more than 90 pounds should drink eight ounces every 20 minutes. Choose The Right Drink - Water is best if the activity lasts one hour or less. For activities lasting more than one hour, kids should drink a fluid with carbohydrates (sugar) and electrolytes. Drinks like Gatorade and Powerade were specially designed for re-hydration during exercise and contain the right amount of carbohydrates. Fluids like fruit juice and soda have too much sugar and can cause cramping. Drink It, Don't Pour it - Your child may think pouring cold water on his head or face feels great, but it will not make him more hydrated. Sun Rules - Keep your baby out of direct sunlight as much as you can, and only apply sunscreen to babies 6 months of age or older. Stay Hydrated - Increase your water intake if you’re breastfeeding, and only offer breast milk or formula to babies under 6 months of age. For babies over 6 months of age, offer sips of water in an open cup. Avoid offering juice. Don't Leave in Cars - Never leave your baby unattended in the car, even for a quick second. Sun-Protective Clothing - Have your baby wear a hat with a brim at least three inches wide any time he or she is outside. It will protect their head, face and eyes. Introduce to Heat Gradually - Increase time spent outdoors gradually to get your baby’s body used to the heat. Look for Signs of Heat-Related Illness - high body temperature; red, hot, dry skin; sweating more than usual; rapid pulse; nausea/vomiting; a decrease in the number of wet diapers. Every year, millions of terrified parents hear the stories of children who were left in a car during the summer, too often resulting in severe illness and even death. Sadly, all of these tragedies were 100 percent preventable. Parents can avoid such a tragedy by remembering a few simple rules. Don't Underestimate the Heat - Temperatures inside a car rise at alarming rates during the summer, even when it is only moderately warm outside. Don't Risk It - Never leave a child in an unattended car for any amount of time, even with the windows rolled down. Look Again - Make sure all children exit the vehicle when you reach your destination. Take special care to ensure that sleeping infants are not overlooked. Check for Hot Car Seats - Prior to restraining your children, check the temperature of the child safety seat surface and seat belt buckles to avoid unintentional burns or discomfort. The majority of fireworks-related injuries are treated and released from the ER. Burns are the most common injury to all parts of the body, except the eyes (where contusions, lacerations, and foreign bodies in the eyes occurred more frequently). The parts of the body most often injured by fireworks are hands and fingers (46 percent); eyes (17 percent); head, face, and ears (17 percent); and legs (11 percent). In 2012, U.S. emergency departments treated over 8,700 patients with fireworks-related injuries, according to the National Fire Protection Association. Kids ages five to 14 are twice as likely to be injured by them as the general population. Shorter limbs and slower reaction times mean that children cannot put the needed distance between the explosive objects and their bodies. It's especially important to watch children around fireworks. Make a minimum age rule - Never allow children under 12 years of age to light and handle fireworks. Constantly supervise - Always supervise children when there are fireworks present. Even if kids have been warned, curiosity may win over caution and result in dangerous firework use. Create a safe environment - Avoid wearing loose clothing, and clear flammable outdoor items such as dry grass, leaves and bushes from the space. Keep extinguishers close - Always have a bucket of water nearby, and consider a fire extinguisher to be safe. Cover used fireworks with sand, if possible. Maintain your distance - After lighting a firework, back several feet away. Do not attempt to hold a lit firework, or to re-light one that has failed to explode. Leave to the professionals - Many wonderful large-scale fireworks displays, free and safe, will dot the skies around Georgia on the 4th. When at public displays, find a place to watch that is away from the path of falling debris. Enjoying the beauty and nature of the woods is fun — if you are careful. Staying safe outdoors means using common sense. Children should always be aware of their surroundings and should never go camping without an adult. Some things to look out for include insects, poison ivy, extreme weather or temperatures and areas where kids could trip or fall. Bring Food and Water - Make sure your child does not eat or drink anything found outside. Even if streams or lakes look crystal clear, they could contain germs and the water may not be safe to drink. Bring bottled water instead. Also, never let your child eat wild berries. Some are poisonous and it may be tough to know which are safe. Good snacks for the outdoors include fruit, trail mix, crackers, granola bars, bread, and peanut butter. Wear Proper Clothing - Kids should wear layers while outdoors. That makes it easy to remove a layer or two if it gets too warm. Children should wear comfortable boots when hiking so their ankles are well-supported and to protect from blisters. Arms and legs should be covered to avoid ticks and insect bites. Knee-high boots and long pants should be worn when in an area that may have snakes. Make sure to take rain gear such as ponchos and waterproof jackets to keep dry if an unexpected shower occurs. Watch Out for Wildlife - Although animals are cute to look at, wild animals are best enjoyed from far away. Don't allow kids to go near or try to feed a strange animal. To keep animals such as bears or wolves away from a campsite, keep it clean. Food and anything else an animal might smell must be packed away. Many campers put all their food— even candy bars—in a "bear bag” and hang it from a tree branch away from the campsite. If they can smell it, the animals will be led away from where the campers are. Know What to Do If Someone Gets Lost - Stick with a group when you're in the woods. Kids should carry a whistle and know to use it if they get separated from the group. If they have a cell phone and it's working, they should use it to make contact with the group. If kids do get lost, teach them to wait in a safe, sheltered place until an adult can find them. Poisonous plants can be anywhere from the woods to your own backyard. Poison ivy, poison oak and poison sumac are all green leaf plants making them hard to identify and easy to blend in with other non rash-causing plants. All three plants contain the rash-causing substance called urushiol, a colorless, odorless oil on the leaves of the plants. Urushiol causes an allergic reaction, rash and sometimes swelling, in 60 to 80 percent of people who come in contact. Learn to identify poison ivy, oak and sumac. Be extra careful if the leaves look shiny. Avoid areas you know these plants live. Wear long sleeves and long pants when you are in areas that could contain poison plants. Be cautious of pets if they explored areas where poisonous plants could live, they can spread the oil from their hair or fur to your skin. Reactions can occur as little as hours after contact, up to five days after contact. Typically, skin becomes red, swollen, blistered and will itch. Take a shower, not a bath. Bath water can break the oil to other areas of your body. It is best practice to consult a physician if you have any rash, especially if you have a fever too. Cool showers and calamine lotions are often recommended to treat rashes caused by poison ivy and similar plants. Avoid Breeding Grounds - Mosquitoes breed in areas such as still pools or ponds during hot weather. Remove standing water from birdbaths, buckets, etc. Try to avoid the outdoors when mosquitoes are most active, at dusk and dawn. Frequently Check for Ticks - When in tick territory, like heavily wooded areas, frequently check for ticks in key places like your scalp, back of neck, armpits, groin and behind your knees. Check pets too. Remove any you find immediately. Use Insect Repellent - Repellents that contain 10 to 30 percent DEET (N-N-diethyl-meta-toluamide) are approved for mosquitoes, ticks and other bugs. Follow the instructions carefully and don’t overuse the product. Keep Covered - When in wooded areas, tuck in your clothes and remain as covered as possible. Do Not Disturb - Leave bee and wasp nests alone. Do Not Swat - Swatting at buzzing insects can lead to stings if they feel threatened. Be Aware - Be aware of spiders that may hide in undisturbed wood piles, seldom-opened boxes or corners behind furniture.